From I81 exit 98, take Rt. 100 North. Go through Dublin, past the airport, over Cloyd’s Mountain, through Poplar Hill. At the Staffordsville bridge, turn right on Eggleston Road (sign says “To 730”). Go 1.9 miles. Turn right on Bear Springs Road. Go 0.4 Miles, Turn right on Springdale Road. Go 2.8 miles. The vineyard is on the left. This is an outdoor event. There are no facilities. Jessee Ring was born and raised in Narrows, Virginia (Giles County) in 1947. He graduated from Narrows High School in 1965 and then attended the University of Virginia where he received a Bachelor’s Degree in Electrical Engineering with Distinction in 1969. He received a Master’s Degree in Electrical Engineering in 1971 from Rensselaer Polytechnic Institute. His work in the computer and software field took him to Pennsylvania where he lived for ten years, Salt Lake City, Utah, and finally to California where he lived for twenty years. He fulfilled various technical and management roles and ultimately became Vice President of a small software company in Silicon Valley. In 1998, he became an independent consultant/contractor doing projects for many well-known companies in the U.S. and internationally. In 2005, he and his wife decided that all the conditions were right to fulfill a life-long dream of moving back east. 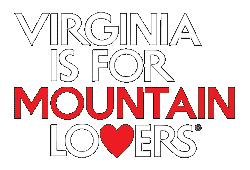 They now live in Pulaski County, Virginia. Since moving back to Virginia in 2005, Jessee has changed careers. He left the high tech world and started a vineyard that is now in full production and is licensed as a Virginia Farm Winery (JBR Vineyards & Winery).